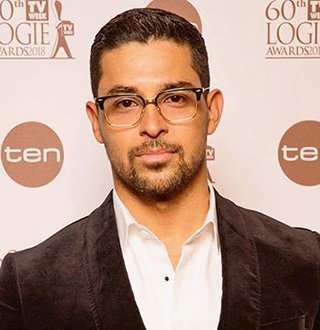 American actor Wilmer Valderrama has dated many high-profile stars. But he hasn't found anyone like Demi, whom he rushed to see as soon as he heard the news about her. The Miami native is an American actor best known for his portrayal as Fez in the classic show, That 70’s Show. He’s also well adored by the fans from the show, NCIS, where he plays the character of Special Agent Nicholas Torres. In July 2018, Wilmer confirmed talking to WHO that he signed another two years deal to work on NCIS alongside American actor Mark Harmon. Born on 30 January 1980, Wilmer was born in Miami, to a Colombian mother, Sobeida, and a Venezuelan father, Balbino Antonio Valderrama Angel. He possesses the ethnicity of Colombian and Venezuelan. He has three siblings named Christian, Marylin, and Stephanie. At the age of three, he and his family moved to Venezuela, where he spent his childhood. When he turned thirteen, he returned to America without learning how to speak English. However, he overcame that hurdle, and after learning the language, he fell in love with its power, and then in his teen years, fell in love with acting as well. While attending high school, he made his first appearance in what is now a show and character for the history books, That 70s show (1998-2006). He played the character of a foreign exchange student, Fez -both his character’s description and his character’s name’s full form - an ingenious plot from the writers. The success Wilmer has gained can be put into perspective. He listed his house in Tarzana, CA with an asking price of $3,495,000 in 2013. He is thankful towards his parents who taught him valuable lessons in his life. He also hopes to instill the values she learned from his parents into his future kids. The successful actor spoke about all these things talking to Entertainment Tonight's writer Elisa Osegueda in November 2017, while also advocating for immigrants who had to live life the hard way especially after Donald Trump won the 2016 Presidential Election. He also talked about his relentless spirit and worked ethic with the hopes of inspiring as well as expressing his love towards his family. Once upon a time, Valderrama, dated Mandy Moore, whom you can remember from the classic movie, A Walk to Remember, and a television show that has America crying, This is Us. The pair dated from 2001 but split in 2002. Wilmer later dated American actress Lindsey Lohan. They kept their relationship under wraps until Lindsey’s 18th birthday in 2004. Later, soon after Lohan was of matured age, she moved into Valderrama's house. Unfortunately, their love didn't last either. In 2011, he then went on to date American actress and singer Demi Lovato. Aside from Lindsay, Demi and Mandy, he has been rumored to have dated stars such as Avril Lavigne, Rihanna, and others. Despite the couple keeping their relationship affairs a secret and coming out publicly only in 2014, they were spotted making out in front of his house in November 2011. It was just months after Demi had been released from rehab; she suffers from a series of personal struggles, including an eating disorder, self-harming and a bipolar disorder. Finally, after years of ‘secrecy,’ the pair finally started to celebrate birthday wishes, message one another publicly. Their fans were sure that the two were destined for each other because both of them were lousy secret keepers! With her 'white knight' boyfriend, Wilmer, Lovato reached a milestone of 6 years in December 2015. They celebrated the only way they knew; making out in public, this time, on the beach during their romantic Carribean getaway. On 25 July 2018, Demi Lovato survived life-threatening circumstances from an alleged overdose. Fortunately, she was rushed to the hospital just in time. Hours after hearing about her first news, Wilmer went and waited by her side at the hospital every day. He was heartbroken by her state when he first saw her. Wilmer’s love story of how he met Demi is entirely arbitrary. The pair met through politics. That’s the most tedious part of their love story. However, it’s an encouraging story nonetheless, where two people with similar destinations meet each other. That was the case here. They met each other while showing up to shoot a Voto Latino PSA to encourage Latino Millennials to vote. It’s understandable, how the statement makes sense, how it carried so much emotion when she said that she loved him, especially the part about Wimmer being her 'white knight,' who disappeared from her life as 'the man that left' her bed. Will Demi Lovato Be His Wife? Demi has always seen him by his side while battling her disorders, drug addictions and every other circumstance she faced. He has always been there for her when she needed her, keeping her sober and alive. Hopefully, this tragedy might turn out to be a happy story of how the pair reconciles their love, get married in the future, enjoys a blissful life together as husband and wife. Seeing Wilmer will hopefully make her feel comfortable and safe again. Hopefully, Demi Lovato recovers and goes on to become an inspiration for her fans again. Nonetheless, alas! She has survived.